This factory sealed racing engine with ground cam and controlled piston pop-up (reducing compression variance) is hand-built in Milwaukee, WI. using precision tooling and fixtures to achieve unparalleled repeatability. The simple, straightforward rule set is controlled by the manufacturer--not a sanctioning body--and is designed to maintain a stock configuration right down to the factory shipped carburetor jets. Manufacturer control of the rules insures that the integrity of this sealed-engine program remains intact and stable over the long run. Eliminate the time and energy spent on wrapping a header, buy this sleeve and have your header safe and legal in 3 seconds. Pre cut to 19" to fit the LO206 spec RLV 5507 header, getting your header wrap up to spec has never been easier. This is the Briggs LO206 engine only and does not come with a header, mount, filter, ect. The motor is sealed from the factory and is intended for sanctioned racing used. The spec LO206 package helps keep costs down and racing closer than ever before. This package is growing all across North America; don't get left behind. For a complete engine kit with all the accessories you need to install the engine on your existing kart, see our complete kit here. Briggs & Stratton LO206 Racing Engine This is a complete kit that includes everything you need set a complete engine on your existing kart, just add gas & oil! It's all in the box...everything you need to join the LO206 program and get on the track in the most competitive class around. This is the spec air filter used in the Briggs LO206 engine rule set - Briggs #555729 'Green' air filter. Hose clamp is included. 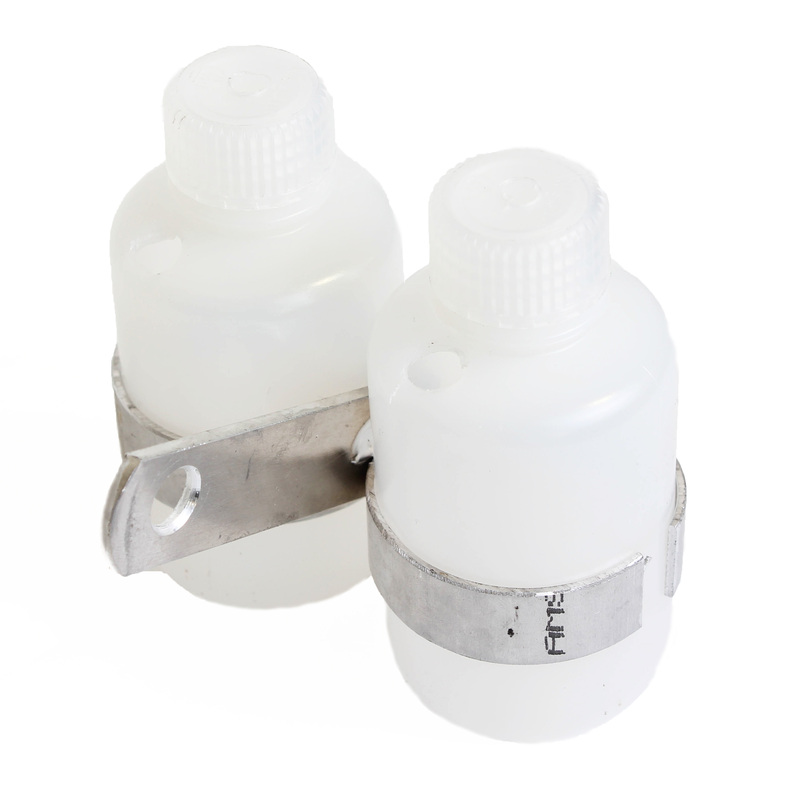 This is a two bottled catch can assembly made for any chassis using an LO206 motor. Just easily bolt on to the outside of the right rear bearing hanger assembly, connect the hoses and go! This clutch bolt kit is for use on the Briggs LO206 engine package and comes with: 5/16" bolt, 5/16" locking washer and a flat washer. The LO206 engine requires air to pressurize the fuel pump. This is achieved by running a line from the crank case to the top of the fuel pump (marked 'P'). This crank case fitting replaces the yellow oil fill plug on the top of the engine and allows the pump to get it's needed pressure. This Silver model chain from EK is for a #35 pitch gear and is 106 links long (approximately 40"). There is no master links and each link can be modified to fit the desired length. 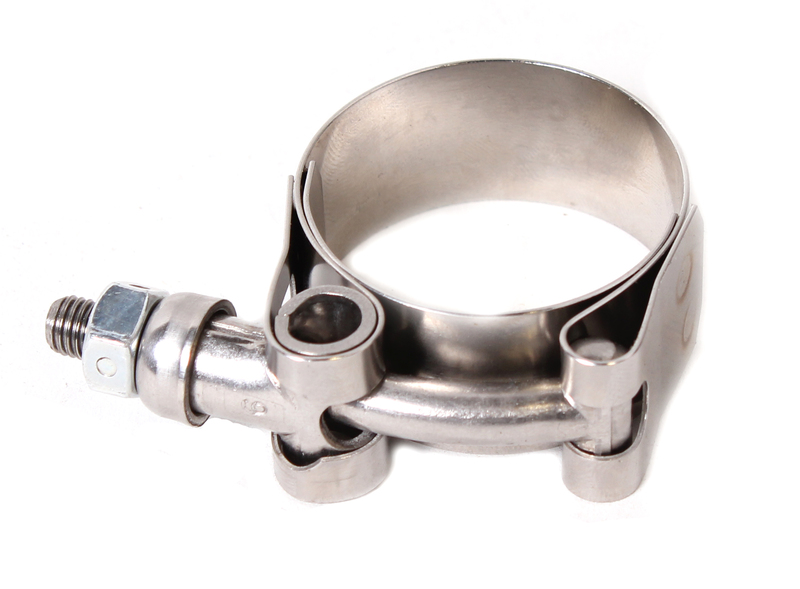 Keep your Briggs LO206 #5107 header and #4104 silencer securely fastened with this stainless steel silencer clamp. The Hillard flame clutch is among the most durable and precise shoe style clutches on the market. A bullet proof design combined with several different tuning options makes this clutch a winner. Easy installation and changing make for fast adjustments when you need it the most. 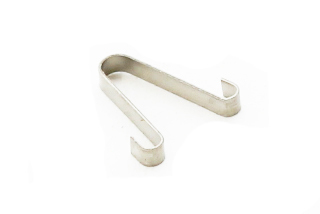 Carb needle retention kit for the Briggs LO206 Carburetor. Carb slide (throttle valve) for the Briggs LO206 engine. 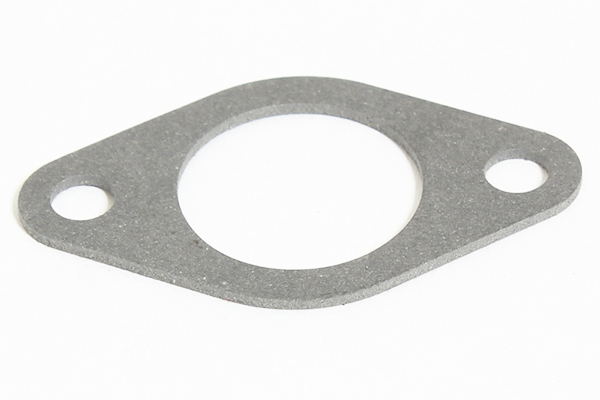 Intake gasket for the Briggs & Stratton LO206 engine. 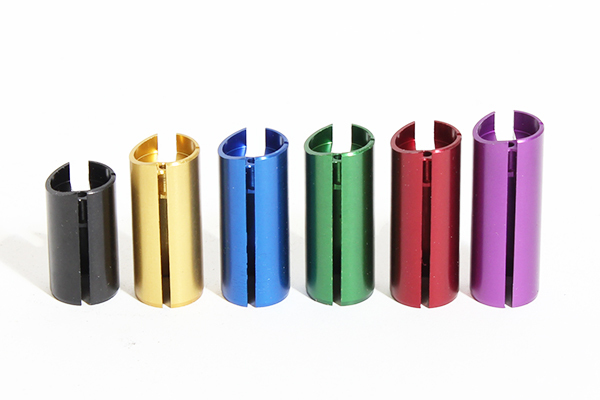 Keep your right arm safe and your engine within the rules with this low profile, steel clutch guard. 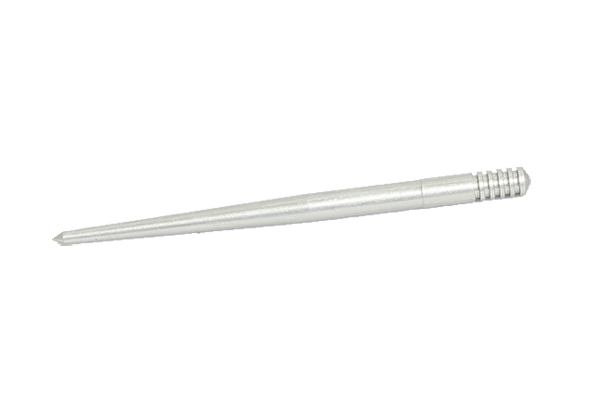 This guard sits low on the engine and only measures 2.25" laterally.